At a recent Housing Festival held in my hometown of Bristol, England, it was not the glossy new building technologies on show that stuck in my mind the most. Instead, it was a presentation by U.S.-based architect Jonathan Davis. Presenting a photo of the allotment in his own Grow Community on Bainbridge Island in Seattle, he described his elderly yoga-loving neighbor as a “wise soul,” but so, too, his young daughter digging around in the vegetable patch. He didn’t see any reason these two “wise souls” should not be brought together more often. Bringing these two ends of the generational spectrum together lies at the heart of experiments in “intergenerational living.” As we try to get our head around how we need to adapt our cities to a rapidly aging (and increasingly lonely) population, we need to throw out the thinking that gave us segregated nursing homes and take on some fresh thinking. The U.S., like much of the developed world, is going through an acute loneliness crisis. The impact of loneliness on health has been compared to that of 15 cigarettes a day. It is known to affect the elderly in particular, but they are by no means the only generation to be hit. As modern society has become more sophisticated, it has also segregated us along generational lines. Families live in leafy suburbs, young professionals in blocks of flats in city centers near bars and office towers, while the elderly are farmed out to nursing homes on the outskirts of town. Often, the only opportunities for contact are the rare visits made within family units. What this leads to is the entrenchment of generational stereotypes which often bear little relation to reality. First of all, whereas in the past Americans retired when they were exhausted, many now retire in their sixties while still in very good shape. There are many who contest the common assumption that retirees will always look to live in a bungalow — in fact, stairs in your home can be one of the best aids for staying healthy in later years. This culture of dealing with the elderly is a relatively recent phenomenon. One public figure who has started to change thinking about the role of the elderly in our communities is star evolutionary biologist Jared Diamond. His research in traditional communities urges us to reconsider how we value older members of society. He shows how, while older members of a traditional societies may not be so handy with a spear, or tasks that require physical strength, their wisdom and experience is drawn upon as experts in making tools, weapons and baskets, as well as much more visible role in child rearing. Their cumulative experience, for example in surviving a cyclone, can in fact be vital to societal survival. So, what have we lost? How in the West have we arrived where we are today, when the elderly are framed largely as a problem and a drain on resources? This has something to do with our modern “cult of youth” and self-reliance, whereby the wisdom of the “village elder” has been marginalized. Multi-generational households are also disappearing globally as young people seek greater privacy. There is also a growing sense that those who cannot master the iPad lose much of their worth to society. But we must reflect on what we have ignored in this process, in the form of human relationships and opportunities for emotional exchange and knowledge sharing. Integrating the elderly into society does not mean just installing lifts and public toilets. It requires a bit of imagination. One of the more famous attempts to bring generations together spatially is said to date back to 1970s Japan, when Shimada Masaharu established the first mixed care home and kindergarten. The idea was later taken up in the U.S. — leading to a series of places like New Jersey’s Friendship Centre. Now, with science stacking up that finds benefits for both elderly and children, policymakers are taking note. The movement has spread beyond kindergartens. The Netherlands recently began pioneering developments that combine elderly care and student housing. Similarly, one charity in the U.K holds events that bring together what they see as the two most isolated groups in modern-day cities — the elderly and young professionals. These efforts by charities are incredibly important. Now, as urban planners, what can we do to help these initiatives to thrive? There are a few ways we can help. Often, advice for making cities “age-friendly” tends to focus on removing obstacles in public space, dropping pavements and building public toilets. All of that is valuable. However, we need a more holistic and fully thought-through strategy that builds on what we know already works. The first is that planners need to build in a greater diversity of housing types into master plans. 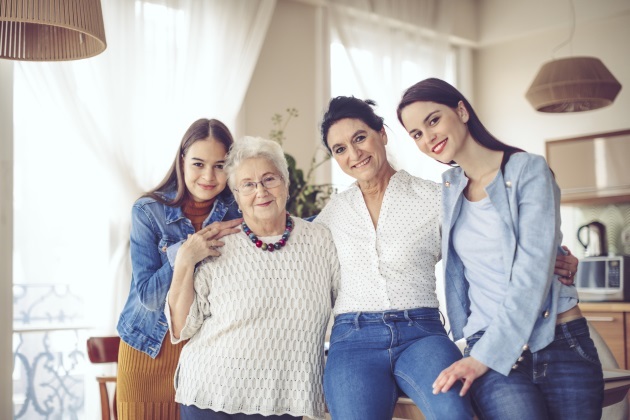 Families, “empty nesters,” students and young childless couples all have diverse preferences, that should be catered for within the same community rather than filtered out into different schemes. This also helps people to move within the same community as their needs change, drawing on the community as a vital support network as they become more vulnerable. The second is the creation of community spaces that all generations can nurture together. The Grow Community gathers around the community gardens that were integrated into the design — children love nothing more than digging around in soil, and the older generation often have a lot of gardening skills to share. It makes you wonder why a community garden should not be designed at the heart of every new residential development? Even the most luxurious care home cannot provide the most valuable thing in retirement — a sense of purpose, connection and being valued by society. In this, cities have an important role to play. Believe it or not, all elderly people don’t want to “escape to the countryside” as soon as they are freed from the travails of a working life. Increasingly, the retired are recognizing that the connection and mobility benefits of cities can make for a more fulfilling retirement. Good planning reforms can help to create the conditions to break down the barriers in urban communities.